Ya-Hui (Cherish) Ni holds a B.S. in Agriculture Chemistry from the National Taiwan University in 1996 and M.S. in Environmental Engineering from NTU in 1998. 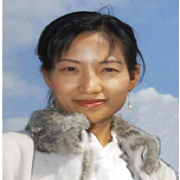 She served in China Technical Consultants, Inc, which is one of the biggest consulting companies in Taiwan, and became a founder of Environment Resource & Information Co., Lt. since 2001. Her career highlight includes managements in chemical substances; toxic chemical substances; industrial waste; resource recycling; soil & groundwater pollution remediation techniques. Among her expertise highlights, she has provided policy advises and established the e-manifest control system for industrial waste control center for more than 20 years. In other words, she is one of the most important members who has helped founded the biggest electronic reporting management system for Environmental Protection Administration (EPA) Taiwan. She was the director of Chemical Substances Registration Center during 2014-2017, which is the single window that all business must sent their dossiers for approvals if they wish to register use their chemicals in Taiwan.